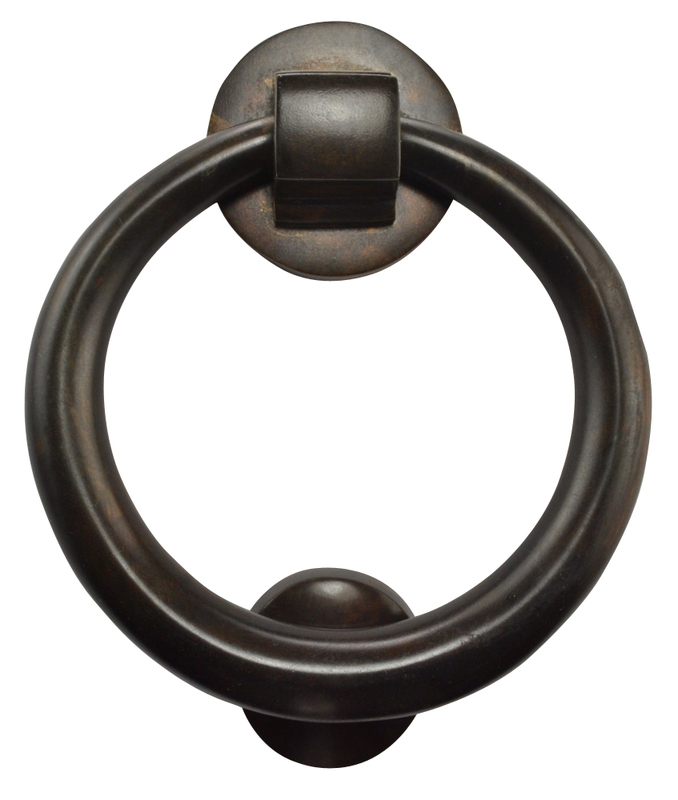 Solid Brass Traditional Ring Door Knocker (Oil Rubbed Bronze Finish) - Constructed from solid brass and hand finished. Each knocker measures 4 inch in diameter with a 1 inch projection when ring is pulled straight out. The base measures 1 7/8 in diameter. Available in Polished Brass, Antique Brass, Oil Rubbed Bronze, Brushed Nickel, Polished Nickel and Polished Chrome.